Alexandra Styron and Jamie Raskin have come together to promote youthful activism. In the summer of 2017, about 60 students participated in Maryland congressman Jamie Raskin’s Democracy Summer workshop program. The following spring, those students helped to organize a school walkout protesting gun violence that mobilized thousands. That kind of wildfire activism is what inspires Mr. Raskin and what motivated Vineyard author Alexandra Styron to write a handbook for young people on protest and engagement. 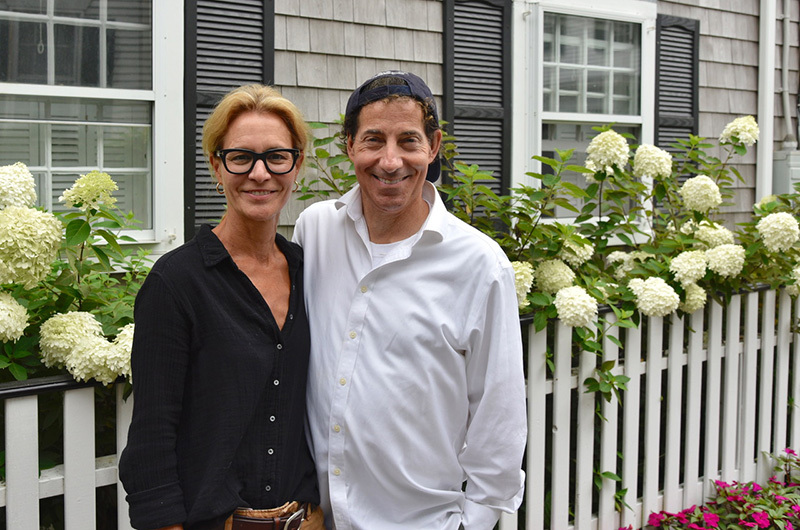 Mr. Raskin and Ms. Styron united forces this week on the Vineyard to celebrate the release of Ms. Styron’s book, Steal this Country, and talk about their shared goal to mobilize youth for progressive causes. Steal this Country is formatted like a textbook and is divided into the Who (prominent protesters from America’s past), What (issues that young people are mobilizing around) and How (strategies for making change). Ms. Styron said she wanted young people to understand that causing social change is a long game. The congressman, whose Democracy Summer program has spread to four states to encourage youth engagement in swing districts, agreed. Both the author and the congressman said they are optimistic about today’s young people, citing the movement that began after the Parkland, Fla. school shooting in February as evidence of their passion and engagement. “This generation is compassionate and inclusive and largely not interested in the politics of exclusion,” Ms. Styron said. As to the polarization of the American political process, Ms. Styron acknowledged that was a concern.